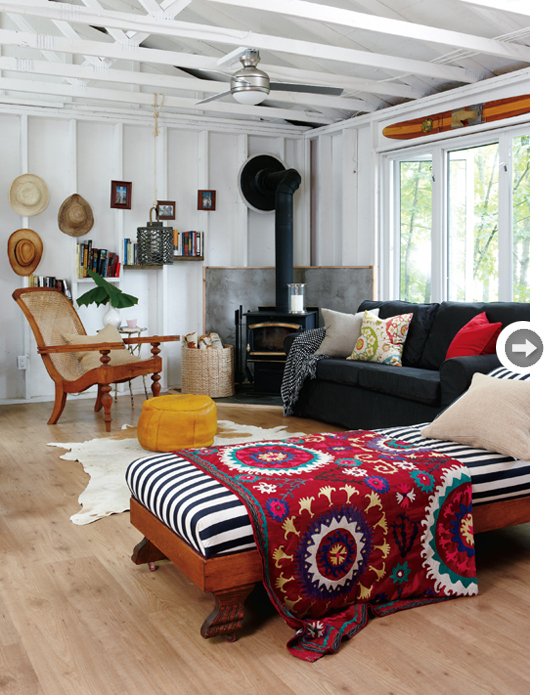 Mix and Chic: Home tour- A cheerful summer cabin! Self-admitted hard-core campers, designer Samantha Sacks and her family started their hunt for a cottage three years ago. 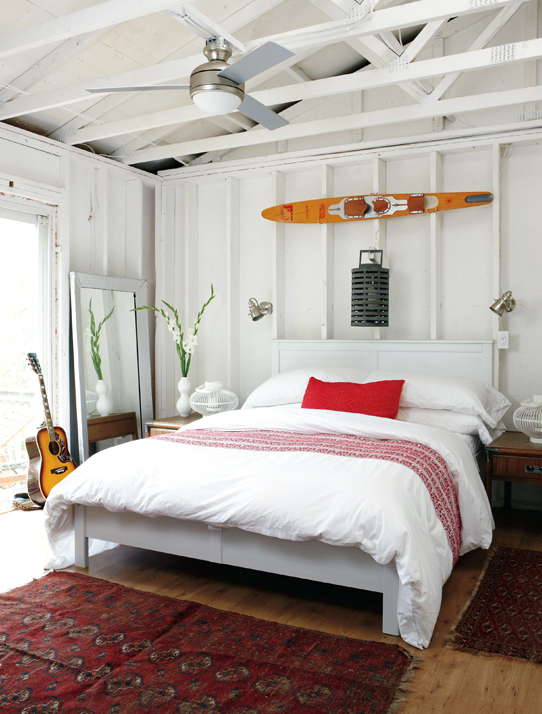 They finally found an inexpensive rundown 900-square-foot cabin and it was turned into a chic, rustic and cheerful summer retreat. Hi Jessie, this looks like a relaxed and laid back hideaway, I can see myself spending a few days in there, on my own of course, with a few books, paint, paintbrushes and paper...heaven! Love the colors in the living room! That is such a gorgeous place - I adore the blanket on the chaise lounge - look so cool. Have a great weekend Jessie. You are right- it is so cheerful and beautiful! I love that the tub is painted a dark color on the outside. Very chic! 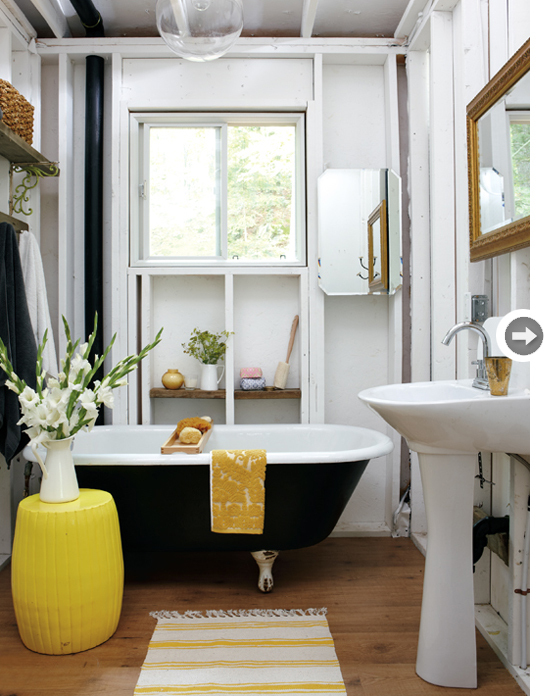 I really like the cheery bathroom with the pops of yellow! What a cute little cottage. I love the table cloth and the chandelier above the table. Very cute. The colors and furnishings add an amazing feeling of comfort. That is the cutest little tub I have EVER seen!! 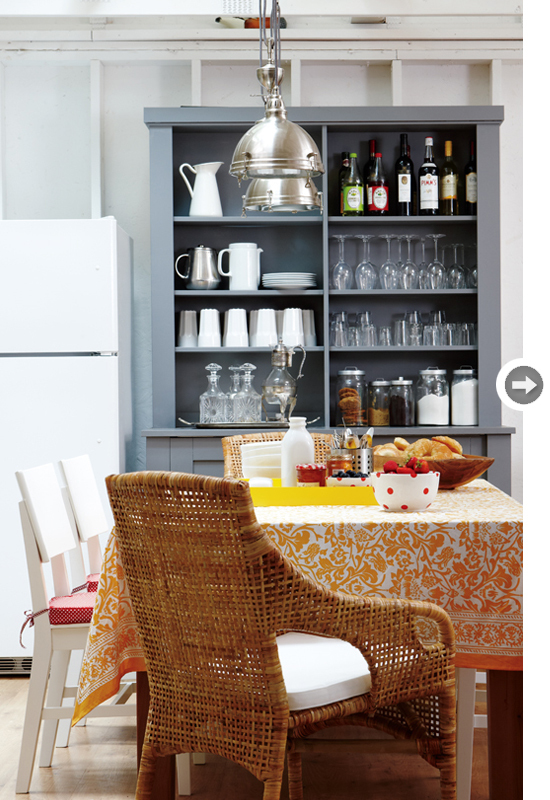 And I noticed those great IKEA wicker arm chairs too. Loved this post. M.
So cute...I love the undecorated look like this...it just works and you can continually change things to keep it fresh!